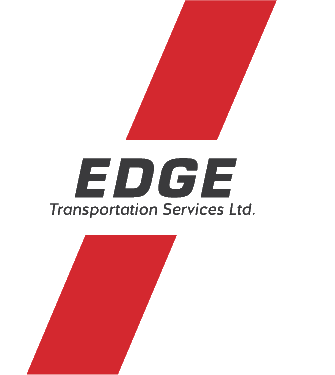 Edge Transportation Services Ltd. is a privately owned transportation company with experience and expertise in logistics, transportation management and warehousing solutions. We combine a process-driven approach with action to deliver solutions to all your transportation needs. By combining our strengths in these fields, Kindersley is able to create a complete supply chain solution for all business, no matter the size or industry. Whether your shipment is domestic, cross border or expedited, we offer you flexibility and coverage. Edge takes care of every detail of the transportation of single skid, multi-skid and full truckload shipments so our customers can rest easy. With a wide range of resources – reefers, heaters and dry vans - and our family of companies, choosing Edge Transportation Services Ltd. just makes sense. Intermodal shipments provide customers with more flexibility and options to meet their transportation requirements. Intermodal aids in the mission to reduce costs while still providing exceptional service. This means providing custom business solutions. Our customers requiring warehousing and distribution have complete connectivity and data intefity to manage costs and improve profitability. At Edge, our warehouse network encompasses Calgary, Edmonton, Regina, Saskatoon, Toronto, Vancouver and Winnipeg. We offere a diverse fleet of equipment to suit the needs of all industries: construction, mining, foresrty and agriculture, along with a team to is dedicated to ensuring your cargo arrives on-time without hassle. When it comes to flat deck, no matter the complexity look to the Edge team for your solution. From 5 axle to 13 axle configurations we’ve got what it takes to move your product. A team of transportation experts are in place and ready to assist you in all aspects of planning and executing your move. Those significant payloads that exceed normal weight and measurement regulations are handled with the utmost care and expertise to ensure that you have peace of mind throughout the entire process as we deliver the impossible. No matter your load size or frequency, Kindersley's brokerage department will present a solution that is effective and on time. From general freight to flat deck to over dimensional, Edge's brokerage department will expedite your loads efficiently and safely. To learn more about what we offer, visit our Services page. This allows customers to view their shipment from the time it leaves its origin, during transit until delivery to the warehouse. With WMS your inventory is visible to you at all times.